RAISES THE PULSE: OUR KNOWLEDGE. UNDERSTANDING WHAT`S COMING: BERYLLS INSIGHTS. The global automotive industry is moving at high speed down a road that is full of curves and intersections. Signs along the road say “No slowing or stopping.” Both speed and challenges are breathtaking. So are the opportunities for the first to reach new destinations. In this enormously competitive industry, we have a deep understanding of global interrelationships, disruptive technologies, new markets and players, data-driven business models and trends that come up overnight. Not to mention radiator grill covers, turbochargers and LIDAR sensors. We are Germany’s only relevant top management consultant firm working exclusively for the auto industry. You experience this specialized expertise daily in our work for you, and in our studies that provide the knowledge to get you were you need to be – at the leading edge of the transformation. Are there really too few battery production capacities, as politicians and media postulate? Or is production capacity exceeding demand in view of the rather modest demand for e-cars? Do we even have a battery bubble? 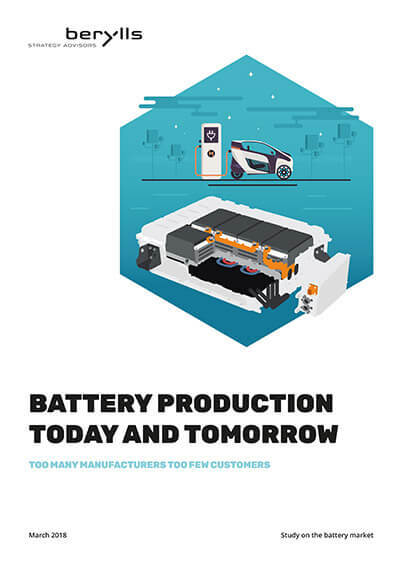 Berylls has analyzed the global situation of battery manufacturers and summarized the findings in this study. The results show that the market holds above all risks but only few opportunities for newcomers. TO THE POINT: OUR LATEST STUDIES. BERYLLS STRATEGY ADVISORS: STUDY TOP 100 AUTOMOTIVE SUPPLIERS IN 2017. Last year was another record year for the supplier industry. The total turnover of the TOP 100 with 834.6 billion euros is 1,1 percent above last year’s mark. The automotive industry is booming, with 94.5 million cars sold worldwide – more than ever before (2016: 92.2 million, 2015: 88.2 million). Looking at the year 2015, the turnover of the TOP 100 suppliers has grown by 5.8 percent. The group of 18 German companies among the TOP 100 delivers a brilliant picture and again performs better than in the previous year, their returns are only surpassed by those of the US companies. The Japanese are doing well too. More than half of the South Korean suppliers, on the other hand, are recording sales declines, while Chinese competitors are posting strong growth. LARGE STUDY ON BATTERY PACK MANUFACTURING CAPACITIES. The discussion is particularly hot in the trade media: do we need additional battery production capacities or do we already have a global overproduction of battery packs? Berylls has analyzed the global situation and summarized the findings in a comprehensive study. The study shows that, especially for newcomers, the highly competitive market holds risks. BERYLLS STUDY: CULTURE MANAGEMENT AND DIGITALIZATION. Many companies lack a master plan for the digital change. This joint study by Berylls and The Culture Institute shows the importance of corporate culture for a successful transformation, and how much change it takes to leverage the potential of digitization. BERYLLS STUDY: REVOLUTION OF URBAN MOBILITY. In our study “The Revolution of Urban Mobility” we analyze the challenges of worldwide urban mobility and forecast a € 1600 billion market for autonomous mobility-related business models by 2035. Municipalities and customers will be the big winners. BERYLLS STUDY: TOP 100 SUPPLIERS in 2016. For the sixth time, we analyzed the international top 100 automotive suppliers. You will find the ranking, revenues and operative results for 2015 and 2016. It turns out that 2016 was another great year for the automotive supply industry, and a look at the indicators for the 100 largest suppliers reveals great continuity. Mercedes-Benz’ ‘Joyful Anticipation’ won three awards, including the Best of Consulting Award and the Red Dot Award 2017 for extraordinary creativity and trend-setting design. With it, customers can observe the building of their new car almost in real time – a pioneering example of a true 1:1 customer relationship enabled by digital technology. A HUNDRED POINTS: OUR LATEST CASES. With ‘Joyful Anticipation’, Mercedes-Benz turns the customer’s wait for a new car into an interactive experience. Customers can follow the production of their car digitally, further individualize it in the last minute, determine the location of the handover, and dive deep into the brand world. 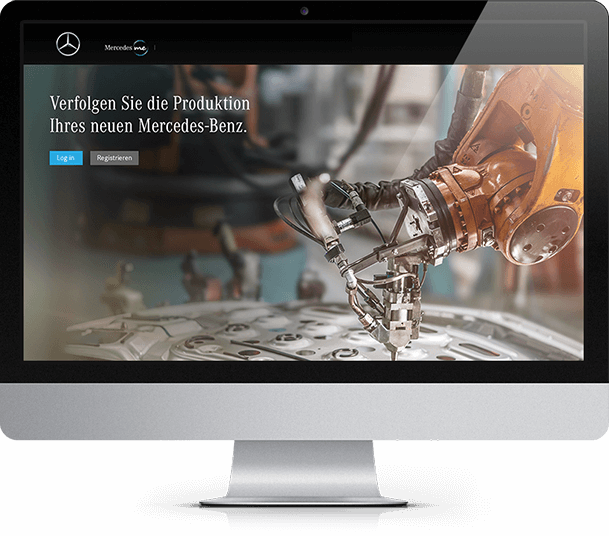 That’s a lot of joyful anticipation which we provided in close collaboration with Mercedes-Benz.io, fischerAppelt and Goodmates. What if you could configure your car, based not on technical data, but following your own needs and your individual lifestyle? Starting from this question, together with Nolte&Lauth and the Fraunhofer Institute for Intelligent Analysis and Information Systems (IAIS), we developed a new kind of Lifestyle Configurator for Mercedes-Benz. Berylls Strategy Advisors joined forced with the Chair of Automotive Technology from Technical University of Munich (TUM) and simulated a mobility solution for Munich based on shared autonomous electric vehicles. 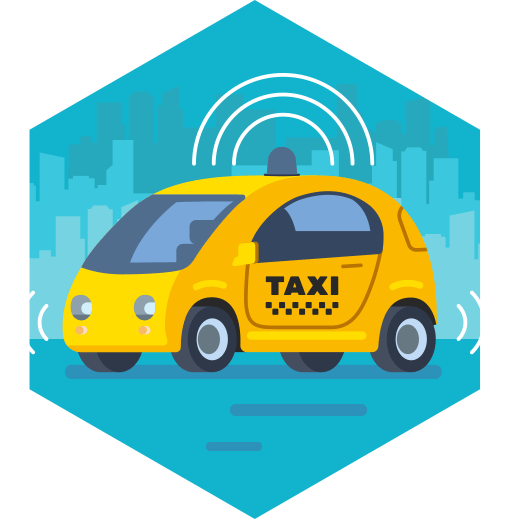 The study highlights: A mobility-on-demand service with 18,000 robotaxis would easily substitute 200,000 private passenger cars and vitally reduce exhaust pollution.